Square hits one million activation mark in U.S. Although the push for NFC and mobile payments is on, Square is doing its part to make sure consumers still reach for their credit cards, reports Recombu. Square, the payment reader that works with iPhones, iPads and Android tablets, has reached one million activations in the U.S. Because both businesses and individuals can use the product, nearly anyone can become a credit-card accepting merchant. 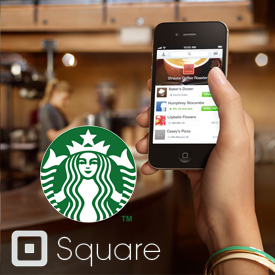 Square’s reader and app are free, it charges a fixed 2.75% rate and offers next day payout.